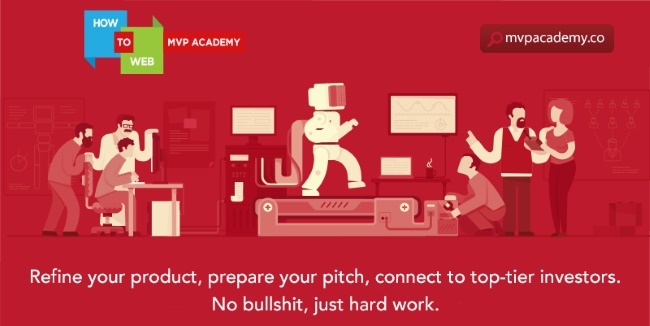 MVP Academy is a satellite-program of How To Web tech conference from Bucharest, Romania. For 7 weeks, the academy will take the selected applications out of their comfort zone and bring them into the startup world at TechHub Bucharest. It’s here where the applicants will build valuable connections to help take their products to the next level and get loads of learning and work done. Most of the finalists this year have founded other companies before (either failed startups or service companies), or have in their teams tech professionals with a proven record and valuable expertise. 13) Unloq: a new way to authenticate and authorize transactions that replaces passwords with devices, thus offering its users increased security, simple & free. The finalists will also have the opportunities of building valuable connections in the industry by working with experienced mentors & professionals such as Jon Bradford (Managing Director, Techstars UK), Mike Butcher (Senior Editor, TechCrunch Europe), Alex Barrera (Co-Founder, Tech.eu & Press42), Ivan Brezak Brkan (Editor, Netokracija), Olaf Lausen (Chief of CEO Staff & Business Development Director, Telekom Romania) or Florin Talpeș (CEO & Founder, Bitdefender). Throughout the program, the finalists will discuss with angel investors, early stage investment funds that are active in the region (Early Bird, 3TS Capital Partners) and with representatives of worldwide known accelerators such as Techstars, Startupbootcamp, Startup Wiseguys, Ignite 100 or LAUNCHub. Everything will wrap up with the Demo Day, which will take place on May 14th. RomanianStartups.com partnered with MVP Academy and How To Web in making the Romanian startup scene more known inside and outside Romania.